LeakSentinel is a US manufacturer of DIY home leak detection and valve actuator solutions. Our patent-pending technology works with your existing home Wi-Fi and your mobile phone to help prevent and detect leaks by turning off your main shutoff valve automatically. What's more, LeakSentinel is the first device that works with existing ball (lever) and gate (round handle) valves between 1/2" and 1-1/4" in size. It's 100% battery powered and installable by the homeowner in under 15 minutes with ordinary tools. No cutting the pipe. No electrician. And no mess. Under normal conditions, the rechargeable battery will last up to 6 months before requiring a recharge. We'll automatically notify you via your smartphone or email when the battery runs low. WILL THIS TURN MY VALVE? LeakSentinel developed a high-torque motor engineered to turn even the most difficult valves, including ball (level) valves and traditional multi-turn gate valves. As part of the installation procedure, we recommend turning and lubricating the valve for good measure. This also reduces power consumption in the event it's activated during a leak or via your smartphone. HOW IS LEAKSENTINEL BETTER THAN Floor-Mounted PUCK DETECTORS? Puck detectors are inexpensive devices that sound an alarm when they detect water. The challenge with puck systems is that you must place many pucks throughout your house, guessing in advance where a leak may occur. Most insurance companies do not recognize pucks as a satisfactory leak-detection and mitigation solution. However, they can augment more comprehensive solutions such as LeakSentinel, and may also detect water intrusion from non-pressurized sources, such as drains and roofing. CAN LEAKSENTINEL DETECT A FREEZING CONDITION? Yes. LeakSentinel has an integrated temperature sensor that monitors the outside air and pipe temperature. As freezing conditions approach, it sends you an alert allowing you to remotely shut off your valve to prevent a catastrophic burst from flooding your home while you're away. 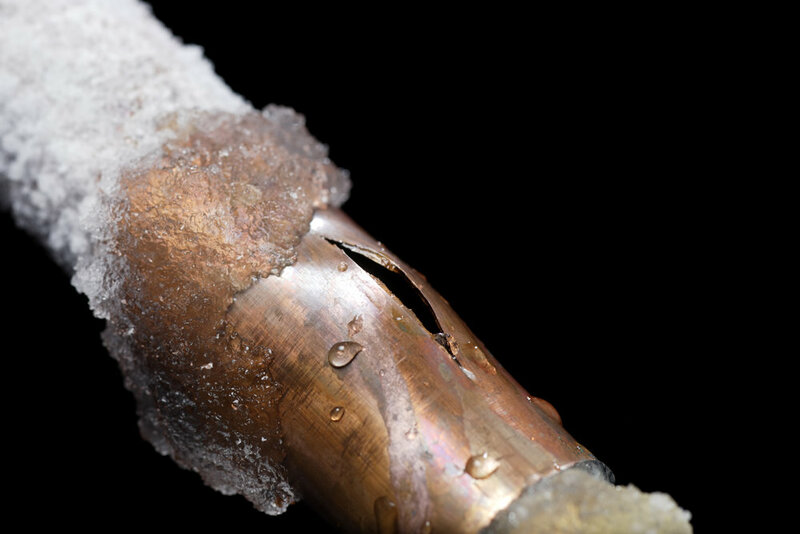 Note that LeakSentinel does not prevent pipes from freezing, but it can warn you of a dangerous condition leading to frozen pipes. LeakSentinel is expected to sell for under $200. Final pricing may vary depending on insurance subsidies and distribution channel. Available subscriptions and data sharing with your insurance company provide added benefits including advanced alerting, insurance deductions (see below), and emergency service-provider response to a leak. CAN I SAVE ON MY HOMEOWNERS INSURANCE? LeakSentinel is working with leading insurers to earn discounts on your homeowner's policy if you install and maintain operation of your LeakSentinel system. Savings from 3% to 7% are possible. Contact us for the latest list.